It would be an understatement to say that a lot has happened and is happening across the Taiwan Straits. 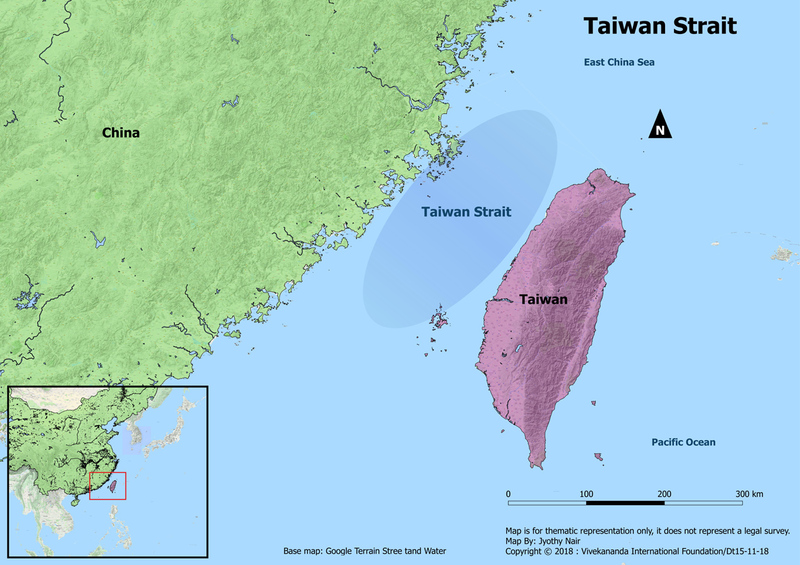 The relationship between Taiwan and China has been strained since the election of the Democratic Progressive Party’s (DPP) Tsai Ing-wen as the President in May 2016 and her refusal to acknowledge the 1992 consensus. DPP has had a pro-independence stance which is not acceptable to Beijing as it counters the ‘One-China Principle’. In an attempt to undermine and limit the Taiwanese space for international manoeuvring, Beijing has managed to reduce the number of countries diplomatically recognising Taiwan to 17.1 Since 2016 five countries, namely El Salvador, Burkina Faso, the Dominican Republic, Sao Tome and Principe and Panama,2 have succumbed to pressure from Beijing while China has used it financial strength to gain the desired results. In addition to this, China had also put pressure on international airlines to change the name of Taiwan on their list of destinations. China has cancelled all political cross-strait talks and visits. Whether DPP or Kuomintang (KMT) gains majority during the upcoming elections, the question remains how far Taiwan can actually move away from China. Their economies are too intertwined and they share a common cultural and historical bond.